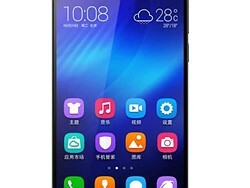 The Chinese smartphone maker Huawei has announced the Honor 6, a high-end model that is squarely aimed at the the competition's flagship devices, such as Apple's iPhone 5s, the Samsung Galaxy S5, HTC One M8 or Sony Xperia Z2. 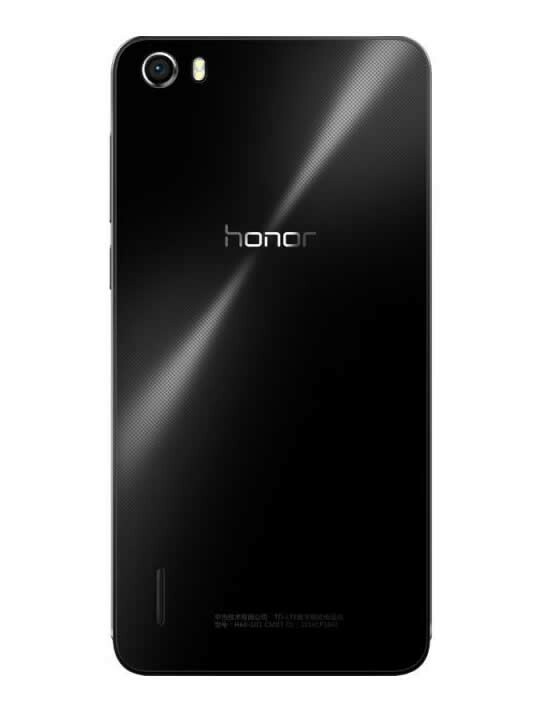 Mobile photographers will find the Honor 6's camera specification decent but not specifically groundbreaking. The Huawei uses the 13MP 1/3-inch IMX214 BSI CMOS sensor that we've also seen on the OnePlus One. The lens offers a fast F2.0 aperture but there is no talk of an optical image stabilization system. A dual-LED flash is also on board. At the front a 5MP unit provides plenty of pixels for self-portraits, an F2.4 aperture and wide 88 degree field of view. 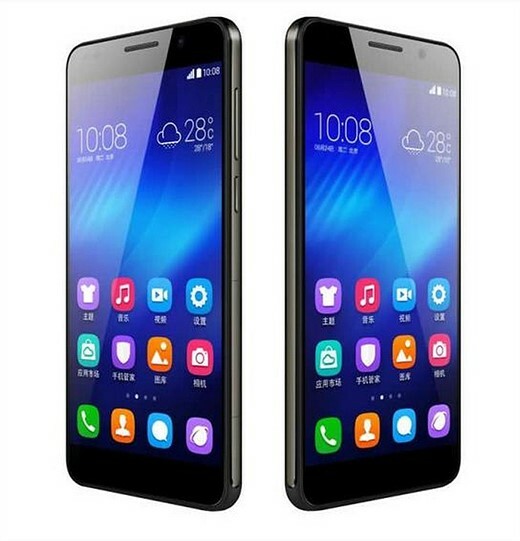 With only 6.5mm thickness and the bezels surrounding the 5-inch 1080p screen measuring less than 3mm the Honor 6 is a sleek-looking device and only weighs 135 grams. Inside the Android 4.4.2 OS and Huawei's Emotion UI are powered by Huawei's own Kirin 920 octa-core chipset, which in benchmark tests has scored higher than Qualcomm's current top-end chip, the Snapdragon 805. 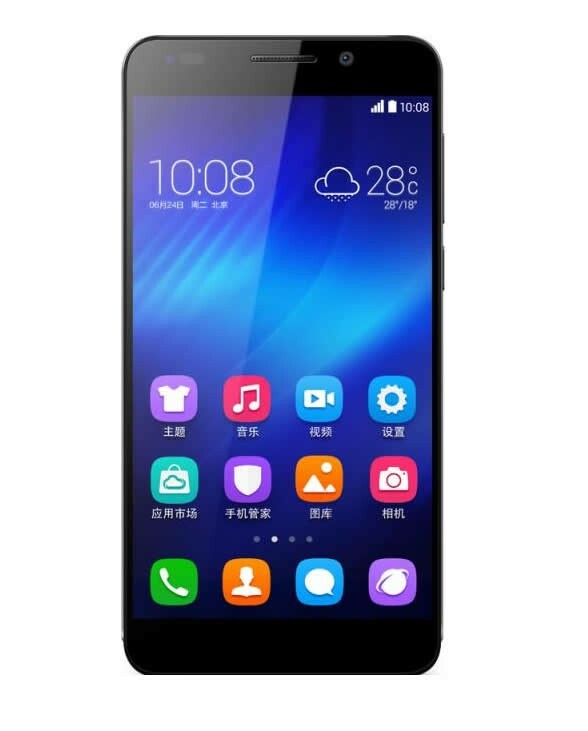 In terms of memory the Honor 6 offers 3GB of RAM and users can choose between 16 or 32GB of internal storage. There is also a microSD-card slot for those who need more space to store photos, music, video and other files. There is no word yet on pricing and availability. I bought it from a Hongkong webiste named ofgou, already used some times .it's hight quality and cheaper than other brand 4G LTE PHONES. Looks alot like the New Amazon phone. People are getting tracked either way, facebook, IOS, android, ISP. Just get a phone u like and stop worrying about who is tracking you. hi Joe, i have a htc sensation and in fact i was waiting for the new max based on specs of the htc one m8. My wife has a one m7 glamor red... very nice phone. But than, i noticed rumours that the max m8 was not real and that htc might work together to realize the next 6inch+ phone or phablet with google, maybe. 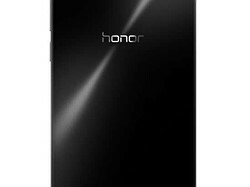 Then Huawei anounced the Honor X1, i looked at the specs, good enought for me so... i went for it and ordered it, althought... not released here in the Netherlands, yet. I don't regret that and really...love this phablet...just the way it is...:-). Thanks for your message. Thanks for the update Sweets. Personally, i like to read comment of people who know what they talk about. I'm writing this comment using my Huawei Honor X1 7.0 in my left hand. Ordered it at merimobiles and received it the 16th of june. Mind you, i'm very! happy with it. The first day i thought...ooo...it's huge...now, today, 25th of june i'm already hooked and do NOT want to do without it. Finally, a tip: it's something new, we should get accustomed to... try it and...you will!like it. And if not, no problem...i do!!! you really like LagDroid ? Is that the Huawei MediaPad X1 7.0 ? I wish they come out with an upgrade with 2560x1600 display and 4K video by January 2015 when my 2 year Verizon contract expires on my HTC Droid DNA. Not going anywhere near Android, iOS, or Windows Phone... they are basically NSA data collection devices. Right now there are more than 20 "tasty" cookies spying on you !!!!!! Watch out for the black helicopters. But you computer on the internet isn't? You are being watched. The government has a secret system: a machine that spies on you every hour of every day. Chinese government spyware included for free! you like Chinese government and google, I guess ..
You forgot the news where NSA was actually infiltrating Huawei? Extensive Spyware & malware apps pre-installed. Special firmware "monitoring" features included. And you think Apple, Google and Microsoft aren't monitoring your location and every keypress? Always trust the spy you know !!! "And you think Apple, Google and Microsoft aren't monitoring your location and every keypress?" YES, Google spy their users. Huawei has leaped into the leader's pack with this phone. All the comments from non Huawei owners or users need not apply. P7 looks pretty nice too, though. Comes complete with factory-installed spyware, I suppose? Are they related to the Fugawi tribe? Huawei - when you want the best in stolen intellectual property. Them rounded corner thieves, them. Ha Ha...that's such a great comment. I'm not sure what you're referring to, but I remember the rounded corners on the copied matchbox cars - copies of copies. Yea, that's a weird patent. But it's not characterized quite right in that article. A common complaint from camera neophytes when they use high-end compacts or DSLRs is "This camera doesn't focus! ", when they actually mean "The DoF is too thin and I don't know how to stop down!". It seems that handset manufacturers are going after faster aperture, which is good if you know what you are doing, but I wonder if the DoF is deep enough to keep the general population happy? I have seen this complaint in the samsung galaxy forums and undoubtably they've seen a rise in complaints that their previous phone was faster to focus or has problems focusing. The cameras take longer to focus because of the shallower dof and the slightly longer minimum focus distance. They're adding phase detection (galaxy S5) and laser assisted (LG G3) focus to combat this problem rather than go back to slower lenses with a shallower DOF. The sensors on these phones are so small that even with F2 you get a lot of DoF, absolutely no need to worry about oof images. I'm not so sure. With a 1/3" sensor and 4.1mm lens (same as iPhone 5), f/2 gives you a DoF of only about 190cm at 100cm distance. That's just about the distance you would have between your friend across the table in a restaurant. People may not be happy if they take a restaurant photo and the background is not in focus. Of course all you have to do is move back about 65cm to reach panfocal distance, but the angle of view may be wrong, and most people wouldn't think of it anyway. well, the DoF is not infinite of course, but the same is true for smartphones with a slightly smaller apertures. You'd be hard-pressed to find anything smaller than F2.6 these days anyway. Let's say if you very vaguely know what you are doing focus is no trouble. Of course, tap-focusing on the background when you want to take a picture of your friend who is 2 feet away from is not a good idea. But it would not be a good idea on any smartphone. Oot question, wrt reviews, what's in the pipeline? S5, Z2, F7a, G3 anyone? S5 is next in line, hopefully next week.